You are at:AgEconMT»News & Posts»Policy»Time to break up agribusiness monopolies? There is growing recognition of America’s historically high levels of industry concentration, and it’s looking like this will be a major issue in the 2020 presidential election. Most of the commentary has focused on big tech platforms like Amazon, Google and Facebook. But another sector that has seen significant concentration is also being targeted: agriculture. But first, a little background. Some think that America is on the verge of a second antitrust movement. The first came in response to growing abuses by monopolistic firms during the “Gilded age”, particularly in the oil and railroad industries. The Sherman Act of 1890 outlawed attempts by firms to monopolize markets and other anti-competitive behaviors, and several other anti-monopoly laws and judicial decisions followed. However, enforcement of these laws has severely lagged in the last several decades, as the Federal Trade Commission and Department of Justice (the two organizations in charge of enforcing antitrust laws) have consistently adopted the view that larger firms will achieve more efficiency through economies of scale, and that consumers will benefit through lower prices as a result. Significantly higher concentration across a wide range of sectors has been the result. There is contentious ongoing debate about the various effects of industry concentration. One important paper from last year, for example, shows that wages tend to stagnate in areas with high employer concentration. The agricultural sector has been impacted by industry concentration more than most. A recent analysis by the Open Markets Institute argues that small farmers have suffered from the growth of agribusiness monopolies in several ways. The meat processing and dairy industries have become significantly more concentrated in the last few decades, and many farmers work in regions with only one or two firms to sell their output to, leaving them with little bargaining power and lower prices. Similar problems exist on the input side, with a few large firms dominating the seeds (particularly after the Monsanto-Bayer merger) and farm equipment industries. 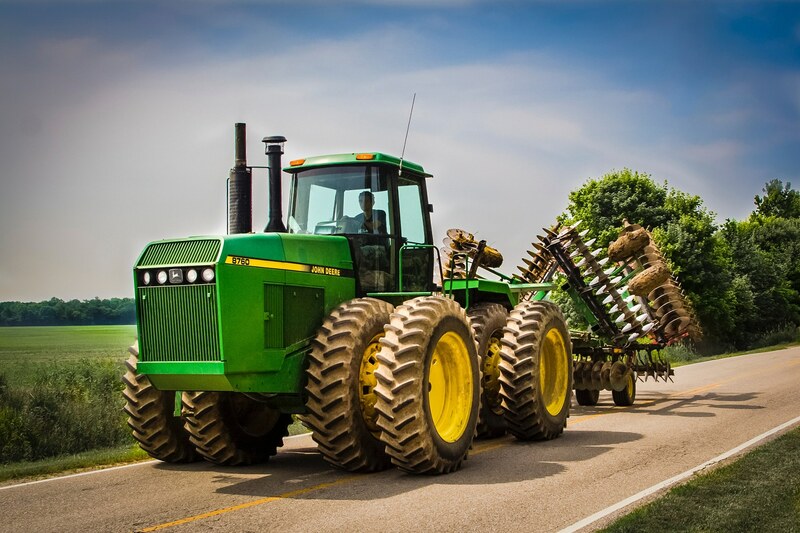 In addition to unfavorable prices, industry concentration on both the input and output sides often lock farmers into unfavorable contract terms, such as the requirement that farmers cannot perform their own repairs on John Deere equipment. Grocery chains have also become extremely concentrated, lowering prices all the way down the food supply chain. Several democratic 2020 presidential candidates have spoken about the need to revamp antitrust laws, and a few have focused specifically on agriculture. Elizabeth Warren recently released a package of agricultural policy proposals. Using antitrust law to break up agribusiness monopolies on both the input and output sides is the centerpiece, but it includes other provisions like the “right to repair” farm equipment. Amy Klobuchar, speaking at the recent Heartland Forum called for a modern day “Granger movement” referring to the Midwestern coalition of farmers that fought against abuses from monopolistic railroad barons shortly after the Civil War. Corey Booker has sponsored legislation to restrict further mergers in the farming and food sectors. I’m not going to attempt to predict what happens in 2020 or what policies might change as a result, but there is a groundswell of recognition of industry concentration and its ill effects. A renewed antitrust movement could fundamentally transform many sectors of the US economy, few more than agriculture.